TO ENSURE A PERFECT FIT!!!! 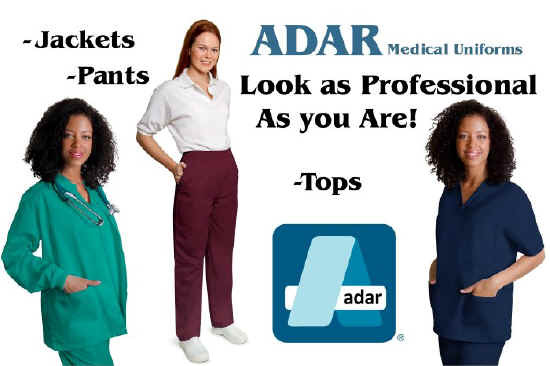 We will be stocking the Stylish & Comfy ADAR Brand Uniforms!!!!! The HICE Brand is still available! When we run out of the Traditional HICE Label, they will be Replaced with ADAR brand Uniforms! Copyright © 2015 HICE SEWING INC. All Rights Reserved.